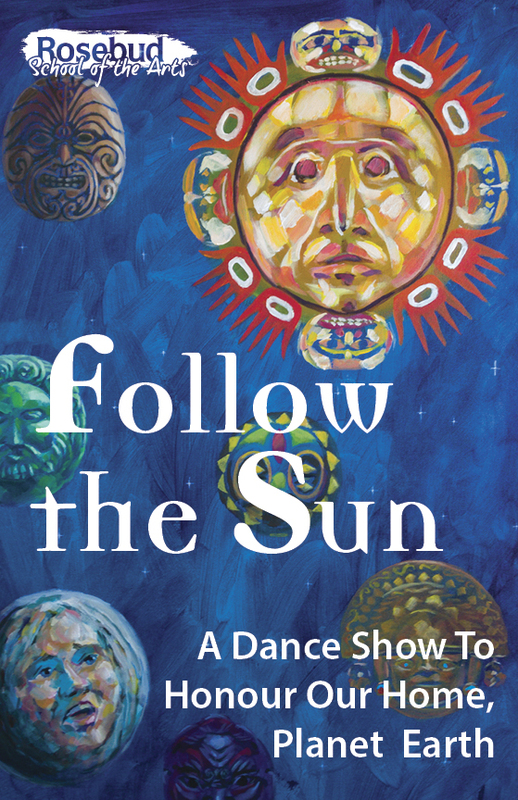 Choreography by the Students of THR 141 Movement Foundations, Follow the Sun is a dance show to honour this planet we call Earth. With the unique use of black light and fluorescent paint, and the music of Xavier Rudd, this show will transform your imagination and your heart. Book today to bring this exciting show to your school! This show was created by Rosebud School of the Arts Theatre Foundations Students, as a final presentation of their Movement class and an opportunity to showcase our first-year students. Now we offer it to schools as a story of the beauty of creation, and hope for humanity to be good stewards of the earth. Book NOW and bring RSA to your school!